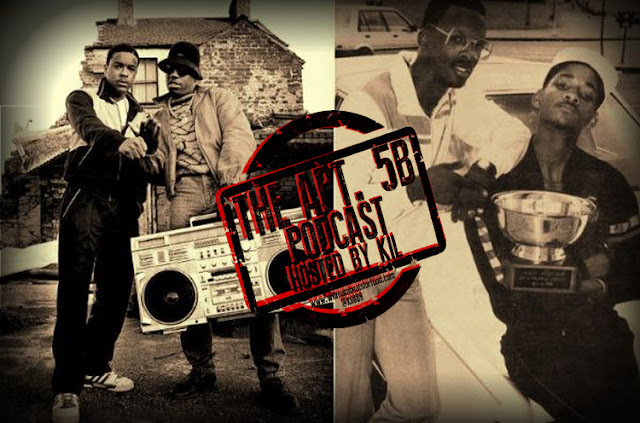 Since I was in Philly for the holidays I figured there's no doper time to do an ep on the history of Philly hip hop! So for this week's ep of my podcast Apt. 5B I'm chopping it up with my Philly folk Malik, AJ, D Billz and Tay up at Glocawear Radio about our earliest memories of Philly hip hop, our top 5 MC's outta Philly and where does Philly hip hop fit in big scheme of the hip hop culture! We also dive into how most folk outside of the 215 will never know ho NASTY the Fresh Prince was back in the day, the rise and fall of Steady B and Cool C and why Jadakiss recently said that Philly...yes Philly has the dopest MC's in the world! It's just ANOTHER dope ep and don't forget to subscribe to our YouTube Channel and our Mixcloud page!